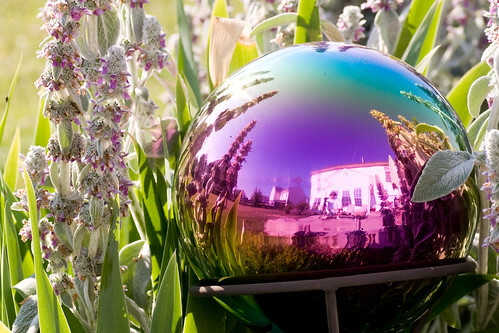 You may recall that exactly one season ago, I posted a shot of the reflective orb thingy in my back yard. At the time, I planned to take the same shot on the first day of each season. Here is the next installment. As you can see, some growth has happened, and if you look closely, you may even see a bug.